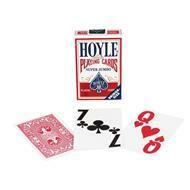 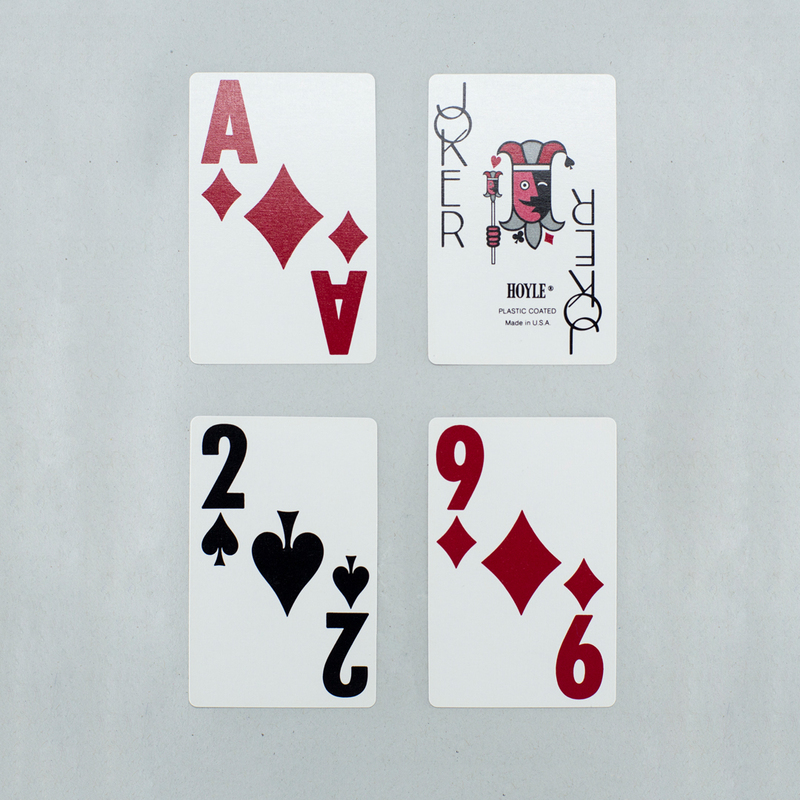 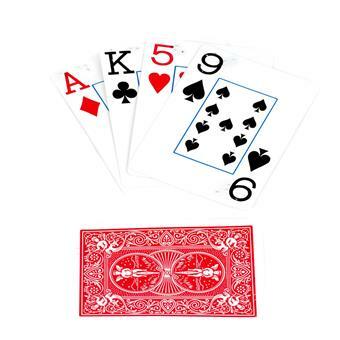 The Hoyle Super Jumbo Playing Cards are standard bridge size cards with easy-to-see oversized 1-inch high numerals. 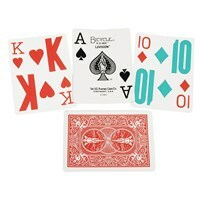 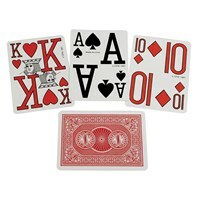 Suits and characters are black and red ink colours on durable plastic coated white cards. 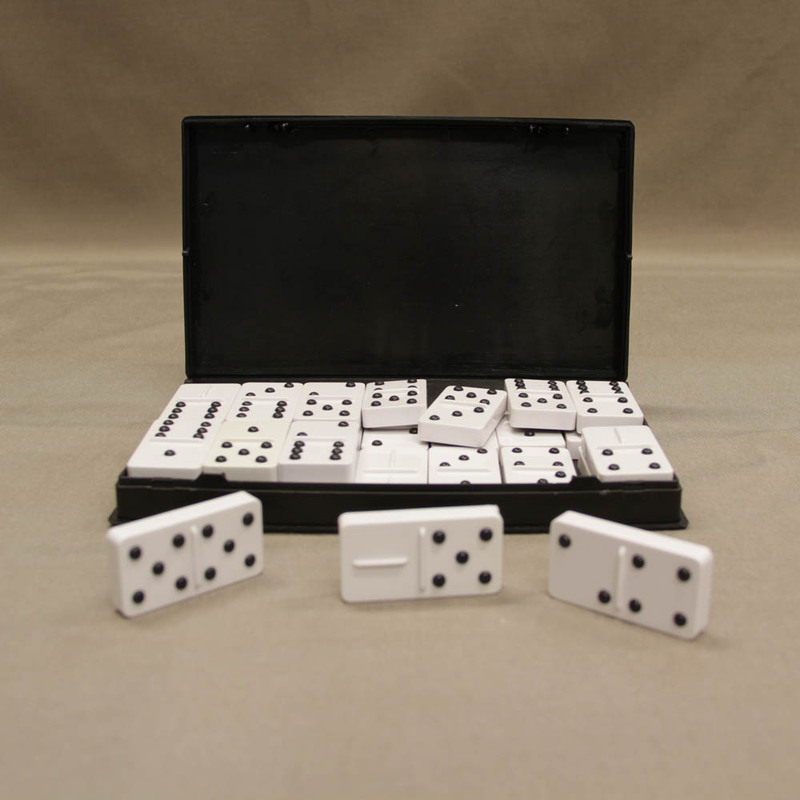 Excellent for those with low vision.